We have developed this project Internet Banking System on PHP and MySQL. Our website Freeprojectz.com contains free download php projects including fully working source code and database. 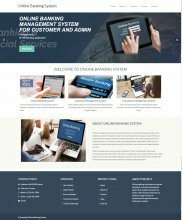 In this Internet Banking System Project in php customer can easily get the details about the bank account. There are two types of user in this Project Internet Banking System, firts user is Admin and second user is Customer. Admin can manage customer, transaction, customer transaction etc and customer can manage their account, balance, registration etc. Even the customer can transfer the money from his account to the another customers account. Here students can get php projects with database free download. The main objective of this project is to provide 24×7 internet banking facility and reducing time, money by going to the bank in person. 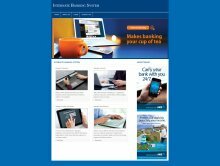 In this system customer can easily get the details about the bank account. 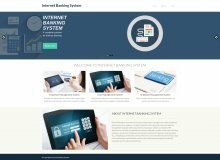 This system provides high security to your online money. Employee can create a new account to the customer. If the customer withdraws the money from the bank then, then the particular amount will be deducted from his account. Customer puts the money to the bank then the amount will be added to the customers account. Here the employee can see all the details of the particular customer in this system. Even the customer can transfer the money from his account to the another customers account.